Mount Michael News Archive 2011-2017: Cross Country: Another Banner Year! 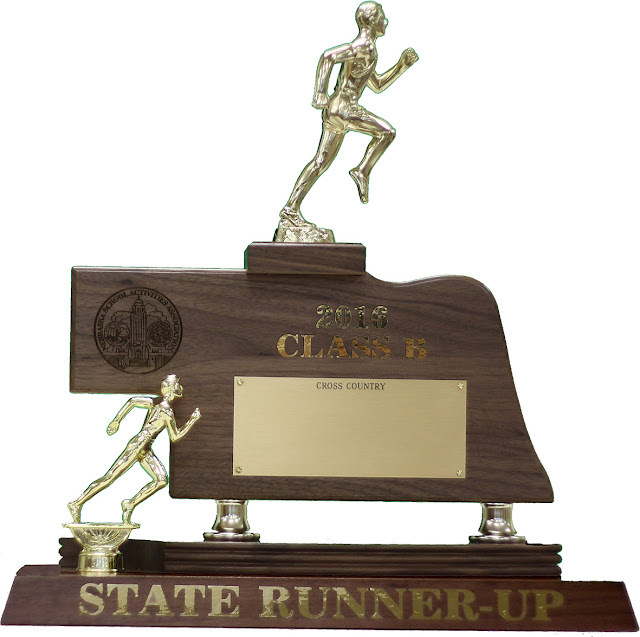 The Knights put forth their finest performances of the year to claim the Class B Runner-up trophy at the State Cross Country Meet at Kearney. The Knights competed against 3rd place Norris at several meets this year beating them only once during the regular season. 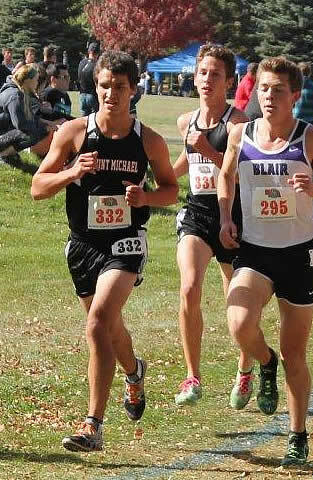 That was at the Kearney Invitational. At state the team was led by seniors Nick Carson who was the 3rd place medalist and Peyton Hottovy who was the 5th place medalist.